Today is Watch Wednesday! 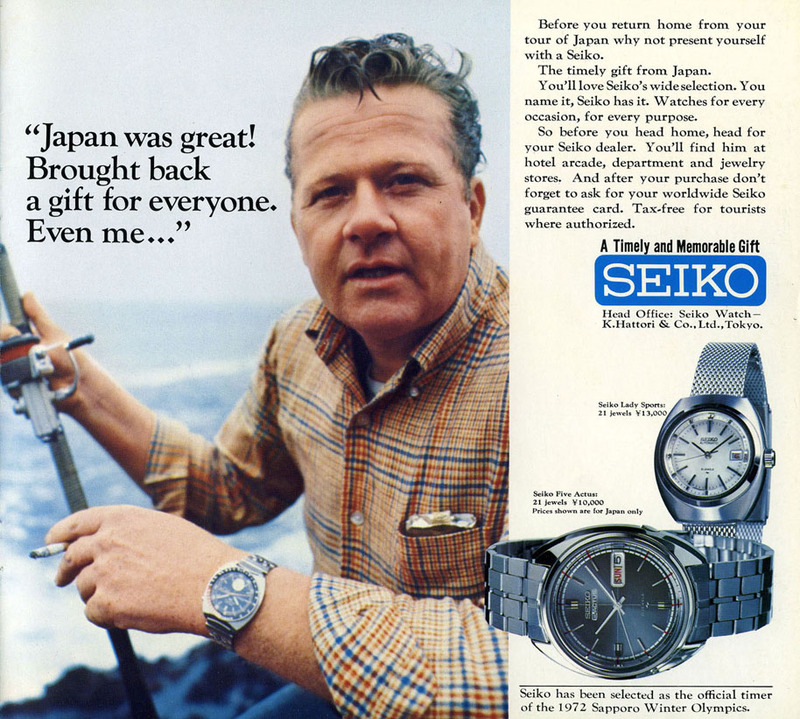 I came across these interesting vintage watch ads by Pulsar and Seiko. They are from from the 1960s – 1980s. 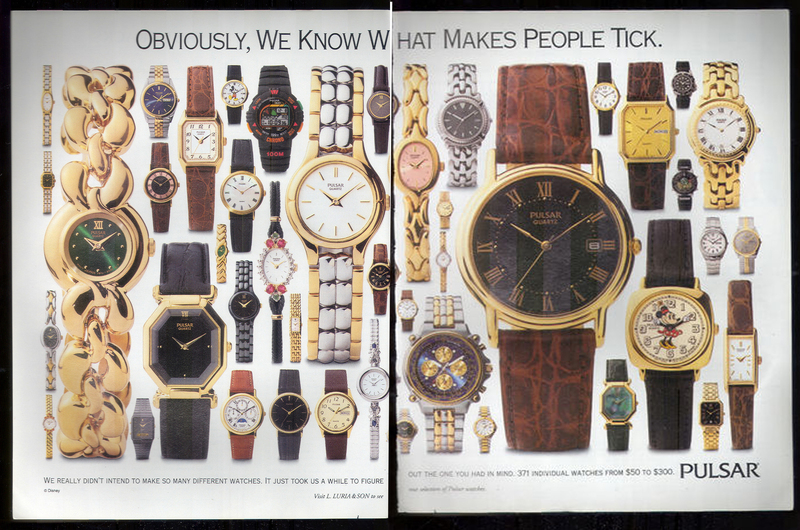 I find that looking at old ads is a great way to get design inspiration. Also, it’s fun comparing styles to what we have today. Why does 1993 already seem old? So modern, so futuristic! 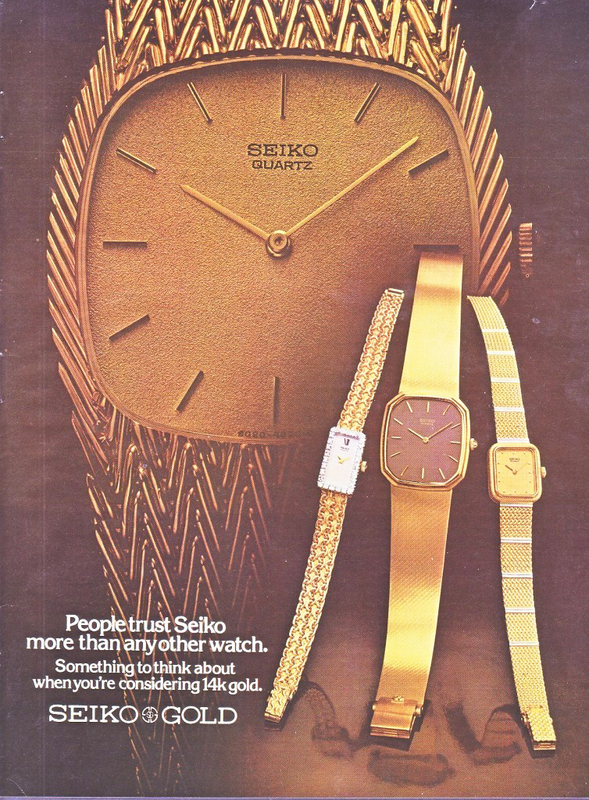 Check out these Seiko watches from 1985 below. They called this the 2001 style. In 1985, the year 2001 seemed so far away! 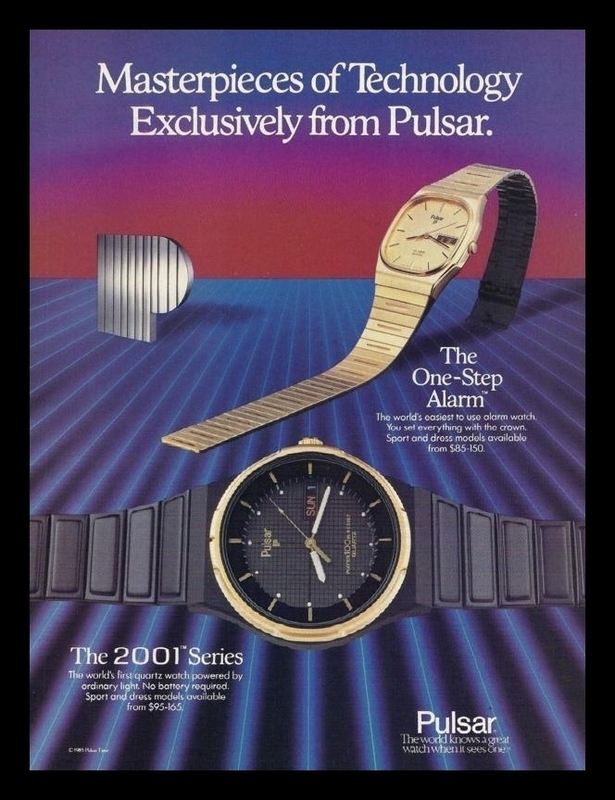 Their “2001 Series” was the world’s first quartz watch powered by light. See our collection of watches from Seiko and Pulsar watches online at any Jewelry Warehouse location! 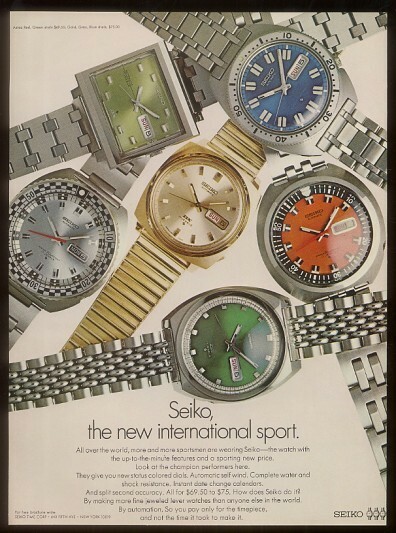 This entry was posted in Jewelry Brands, Jewelry History, Watches and tagged old watch ads, old watch styles, pulsar, pulsar watches, seiko, seiko watches, vintage ads, vintage watch ads, watch, watches. Bookmark the permalink.